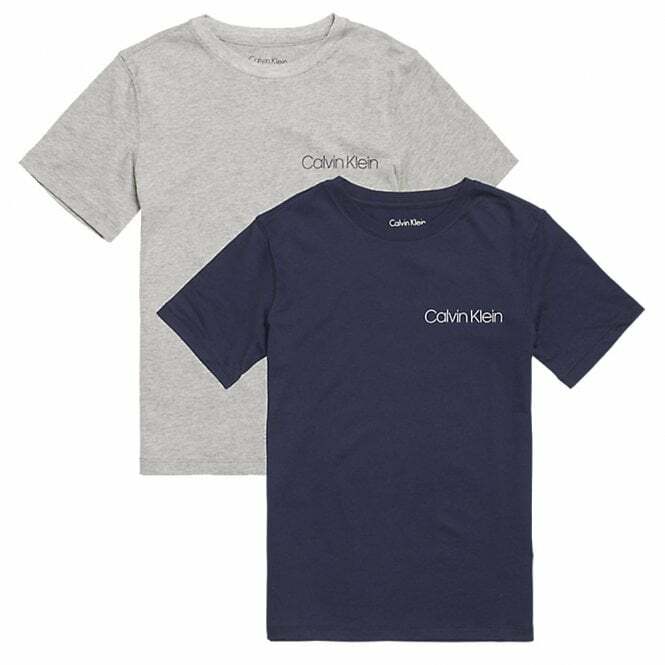 Each T-Shirt featuring Contrasting Calvin Klein Signature Logo on the chest. The Perforate range of kids' underwear features the iconic Calvin Klein logo and is made from breathable cotton to ensure comfort and durability. Our Collection at Boxers and Briefs contain only the highest quality Calvin Klein Boys Underwear. In our Calvin Klein Boys Perforate range we have the Heather Grey / Blue Shadow, Calvin Klein Boys 2 Pack Perforate Short Sleeved Crew Neck T-Shirt. These are available in size Small, Medium, Large and X-Large (ranging from ages 8 to 16).